Jenway provide a variety of accessories to compliment the 6850. 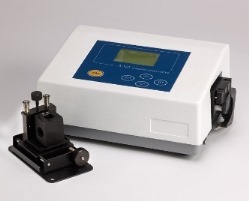 All of the accessories fit into the sample chamber and therefore do not take up any additional bench space and all have been designed to be fitted and removed with ease. To enhance productivity and increase throughput rates there is an automatic 8 cell changer. For medical and biochemical application where sample volumes are strictly limited a micro-cuvette holder is available. For applications where sample temperature is critical, a water heated cuvette holder for 10 x 10mm cuvettes, please note that a water bath and circulator are also required but not supplied. 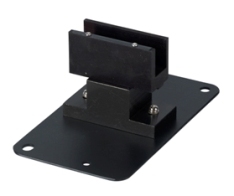 For applications requiring additional sensitivity where longer path length cuvettes may be required Jenway offer an adjustable path length cuvette holder. Please note, the 8-cell automatic cell changer is not recommended for use with micro-volume cuvettes, and is only suitable for use with cuvettes that have an aperture greater than that of the cell holder. For safe and effective sample handling Jenway now offer a sipper pump which circulates samples and can be programmed to deliver reproducible sample volumes, part code 685 201. 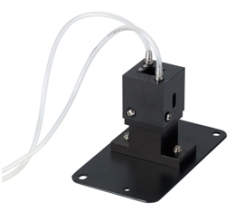 A flow through cuvette must be used with the sipper pump. 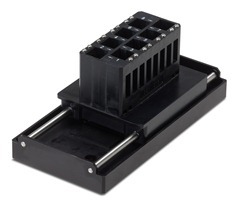 For applications where sample temperature is critical, an electronic Peltier accessory is offered which enables sample temperature to be controlled between 15°C to 40ºC, part code 685 301. 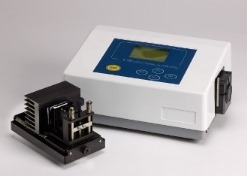 And finally, the combined sipper-Peltier pump combines the functionality of both the sipper pump and the Peltier enabling sample temperature to be controlled while the sample is being circulated, part code 685 601.